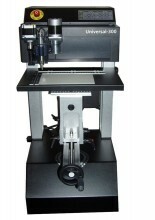 Click the button below to add the U-Marq Universal-300 Engraving Machine to your wish list. 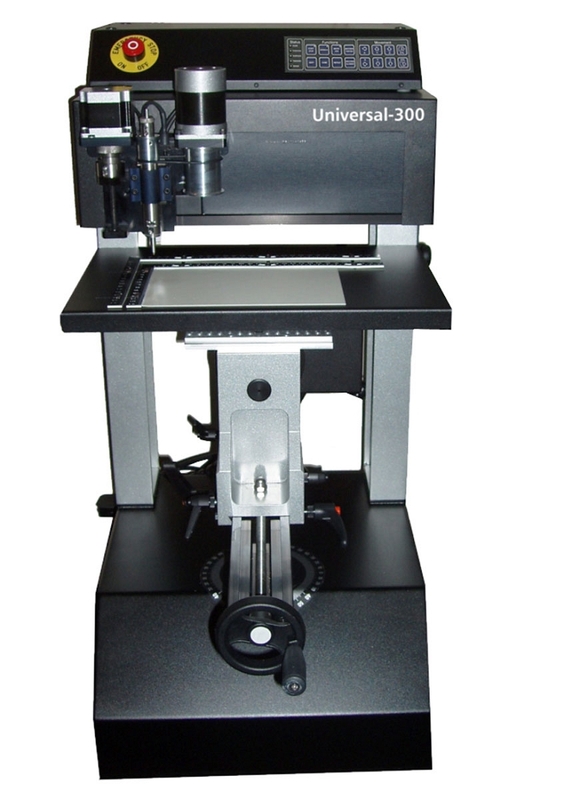 Umarq Universal-300 vise close up A very accommodating feature on every U-Marq engraver machine is the ability to affix any type of object in place with its center vise and array of jigs. Jewelry, pendants, dog tags, Zippo lighters, rings, pens, watches and medallions are but a few of the immeasurable amount of items the Universal-300 is capable of engraving on. With the included standard jig and jig pins, you can rest assured that the majority of the items you encounter will be easily secured. For jewelers, the ring/pen jig, watch/medallion jig and jewelry jig are also included with the machine. In addition, the center vise occasionally picks up where the flat engraving table leaves off. Large flat items; such as serving trays that exceed the engraving table’s dimensions, can be held in place with the use of the center vise, which can open to an impressive 16.5” (420mm) in length and can also be raised, lowered, tilted and rotated. No matter what type of business you are in, you will most certainly appreciate the facilitating qualities of the Universal-300’s center vise.